Update Jan 2019: If anyone wishes to see a copy of the video of Remembrance 2018 contact Claire. Total raised for Poppy Pledge was £2028.00. 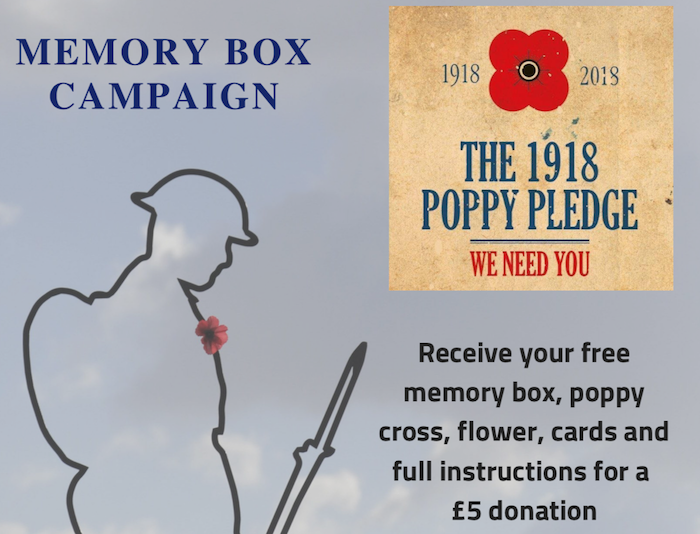 Receive your free memory box, poppy cross, flower, cards and full instructions for a £5 donation. 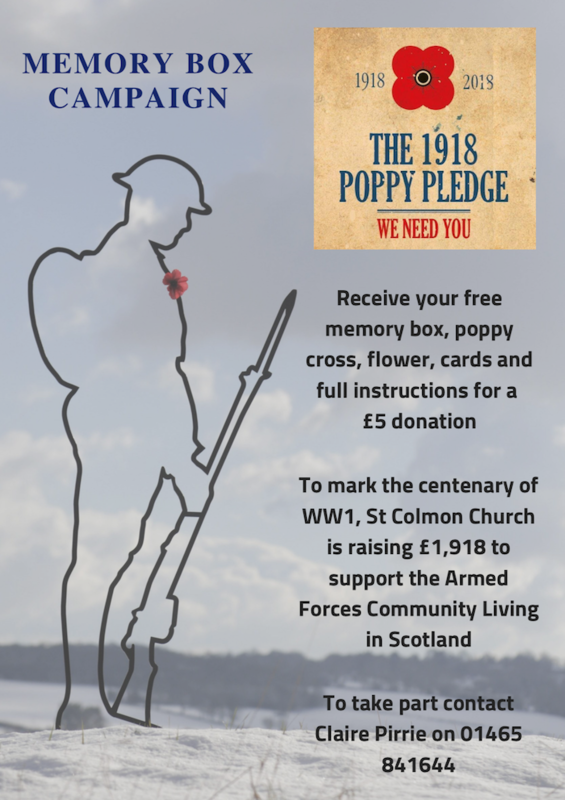 To mark the centenary of WW1, St Colmon Church is raising £1,918 to support the Armed Forces Community Living in Scotland.